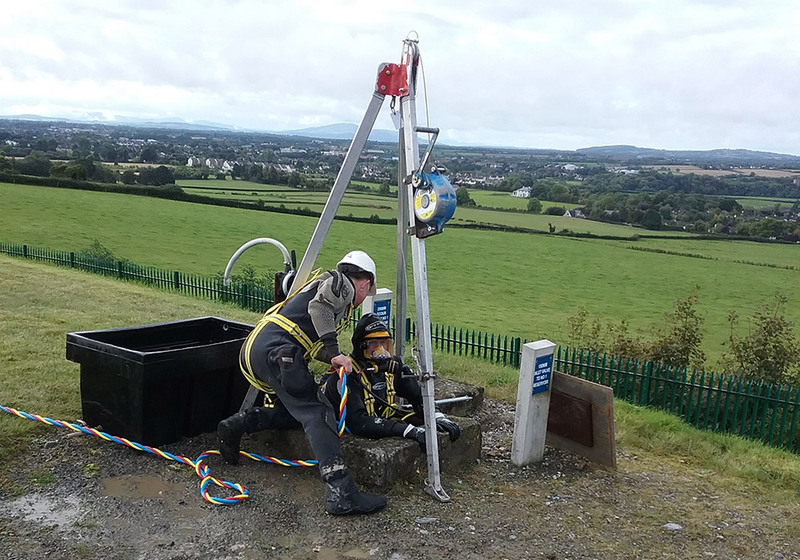 Dive and Marine Contractors acted as the specialist marine subcontractor for the installation of a mixer Unit at Radestown Reservoir, Co. Kilkenny. Radestown Reservoir supplies the city of Kilkenny and surrounding suburbs with fresh potable water. Our confined space trained dive team entered the access hatch using a combination of Surface Supply and Pro-commercial Scuba to carry out the installation of the mixer unit while the reservoir remained fully operational. While adhering to all Health and Safety Regulations and Legislation, Dive and Marine Contractors developed, proposed and implemented a plan which counteracted access issues to the enclosed tank, contamination of the potable water and shut down of the reservoirs daily operations. A follow on video survey was conducted of the mixer operating in the reservoir.